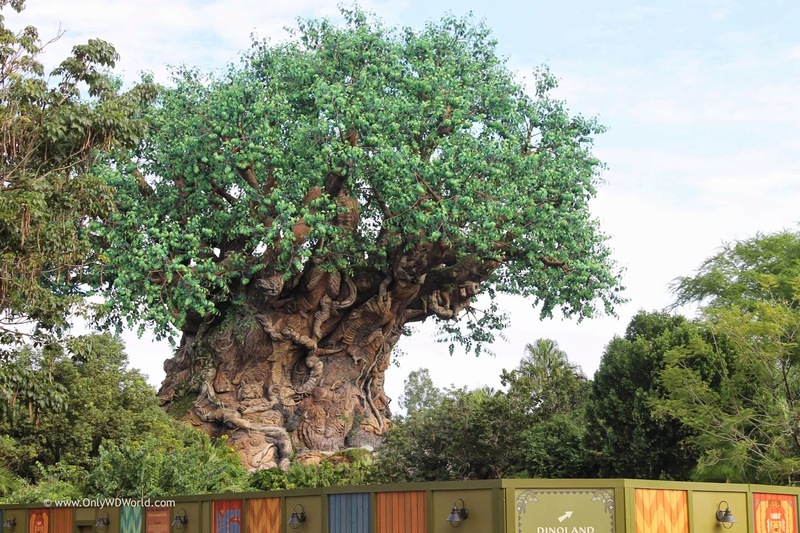 The iconic symbol of Disney's Animal Kingdom at the Walt Disney World Resort is called the Tree of Life. This mammoth man-made tree not only makes a great photo backdrop for those that enter the park, but it is worthwhile to study the incredible detail that went into all of the animals that are hidden within it's trunk and branches. Disney World fans can appreciate the level of detail that went into transforming this former oil rig into an animal adorned tree that serves as the centerpiece of Disney World's best themed Theme Park. 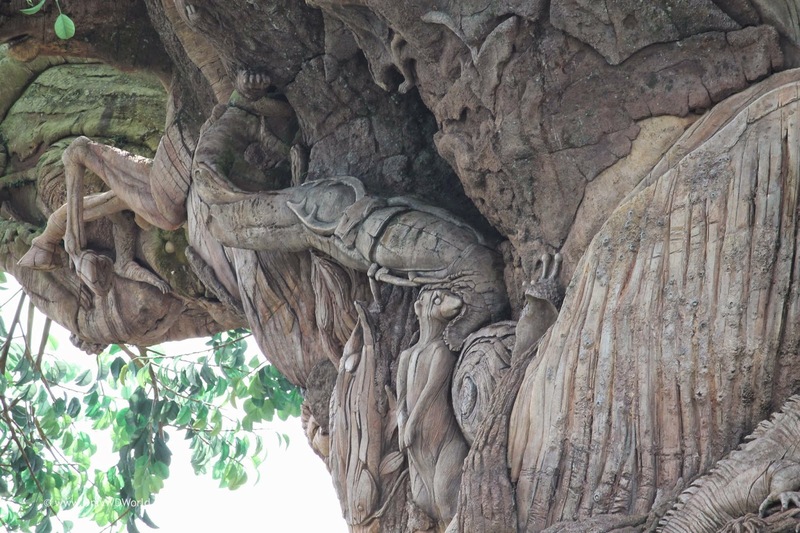 If you have the time time to look closely you can discover the over 300 animal carvings that exist within the trunk, roots, and branches of the massive 145 foot tall structure. Today, as we pay homage to this incredible structure we show many of the animal carvings that you may not have seen in such detail previously. The owl, the whale, and the iguana are highlighted here in this view. 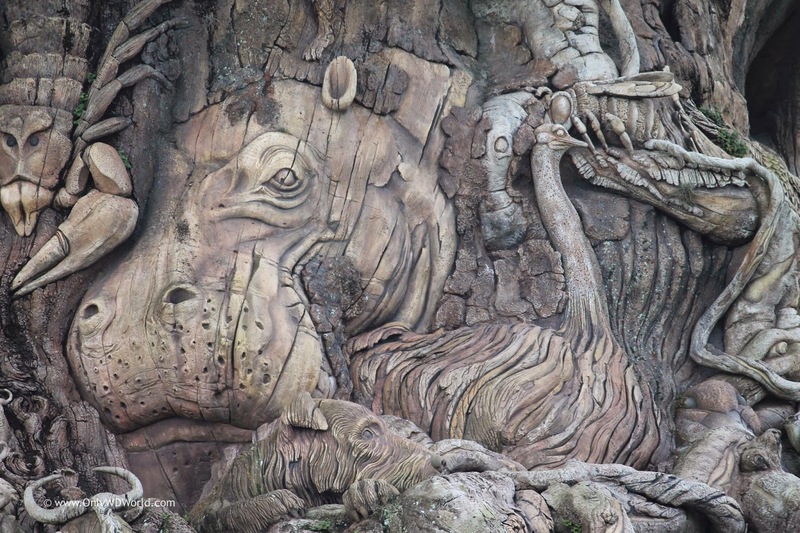 The material that the Disney Imagineers used was concrete to create these incredible animal images. The bear and the wildebeest stampede are the visuals that you can notice from this view. 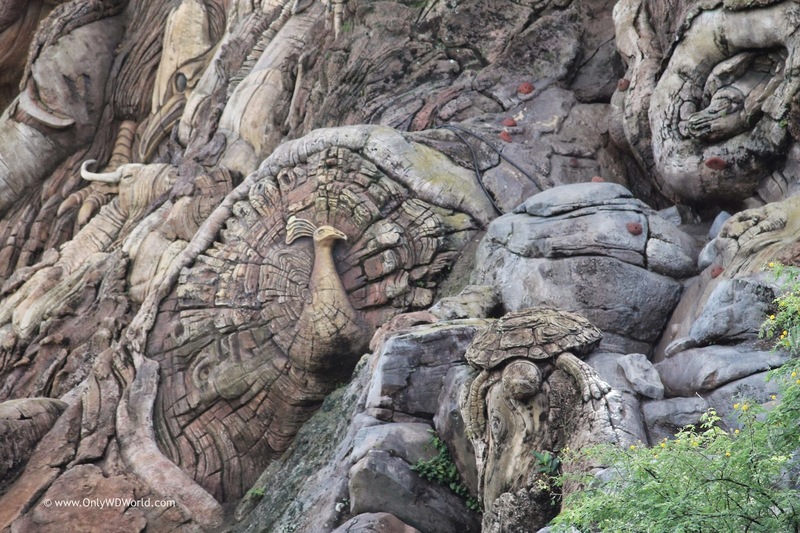 This enlarged close-up is rarely noticed by the casual Disney's Animal Kingdom Guest. The meercat and the beetle are prominently shown here amongst the others. 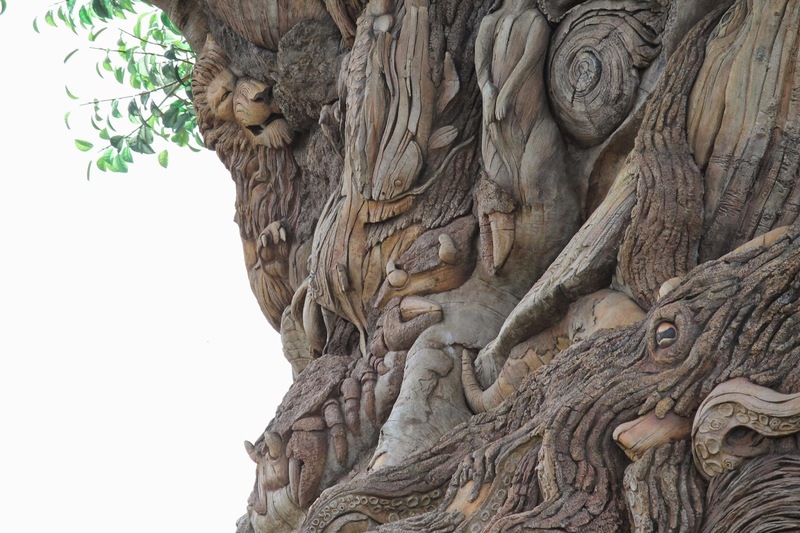 Can you make out the rabbit, moose, and praying mantis carved into the Tree Of Life in this picture? The stately peacock is shown in this image. It is cleverly carved into the trunk of the tree. 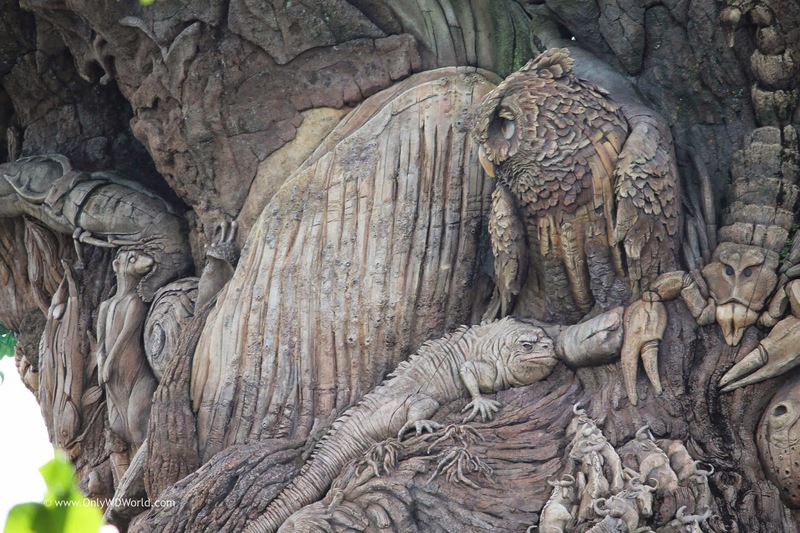 This stunning picture shows the carving of the owl, monkey, scorpion, and hippo all intertwined in this carving image. 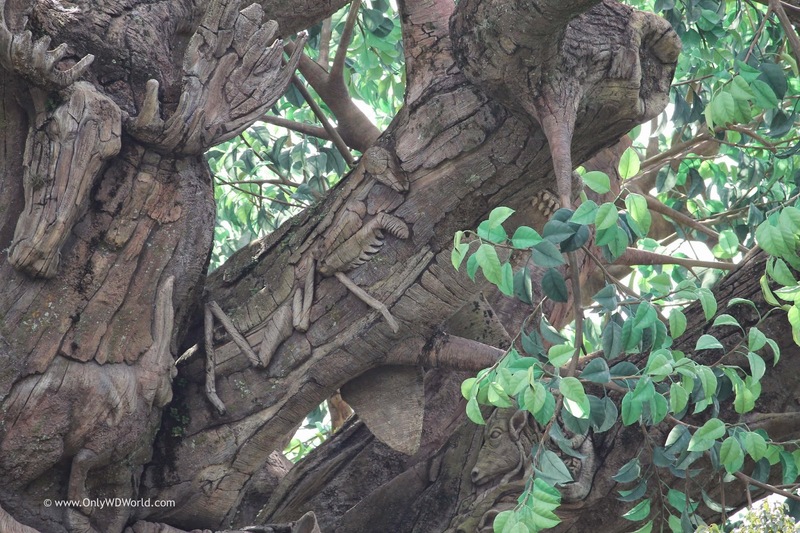 Few Disney World guests ever notice this level of detail that exists in the Tree Of Life. A Lion makes his way into this carving peering along the edge of the tree. 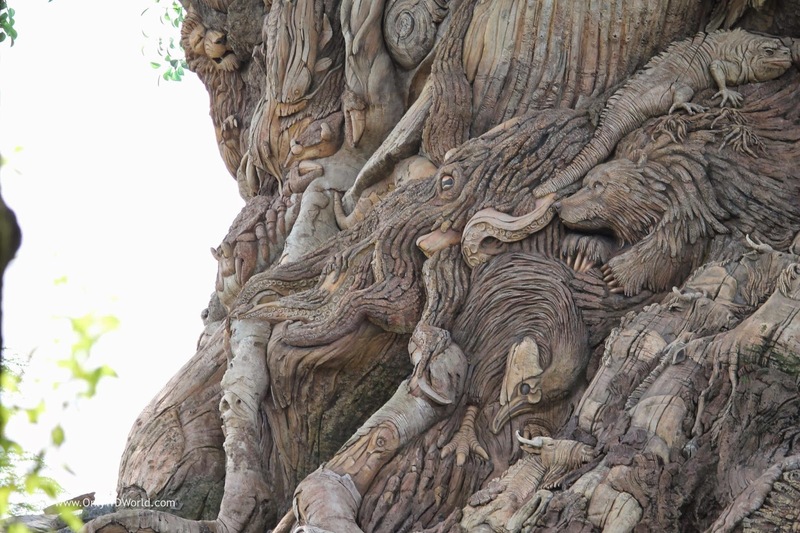 Can you believe that an octopus is actually included among the Tree Of Life Carvings? This menacing form makes its appearance felt. 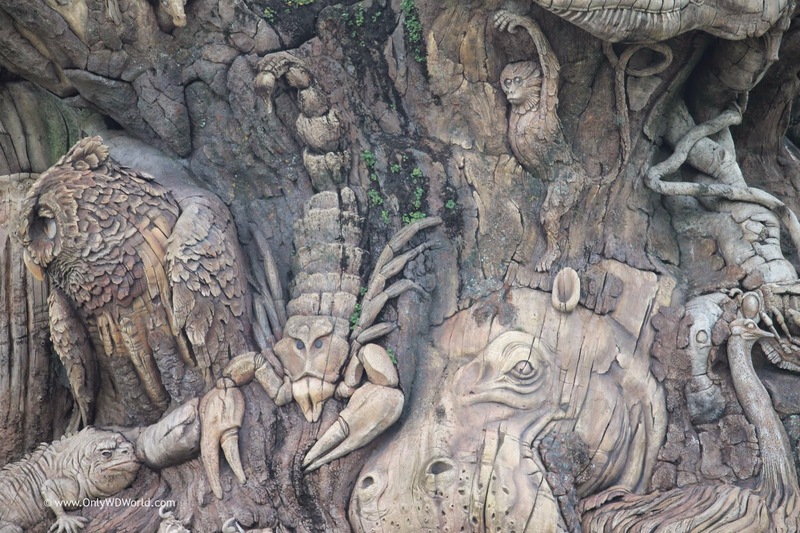 The Tree of Life at Disney's Animal Kingdom presents an amazing array of over 300 different carving included within its boundaries. By looking closely you can see the wide variety of mammals, birds, sea creatures, crustaceans, and even insects that are represented. The next time that you visit the Walt Disney World Resort make a point of taking some extra time to see how many of the 300 carvings you can identify. 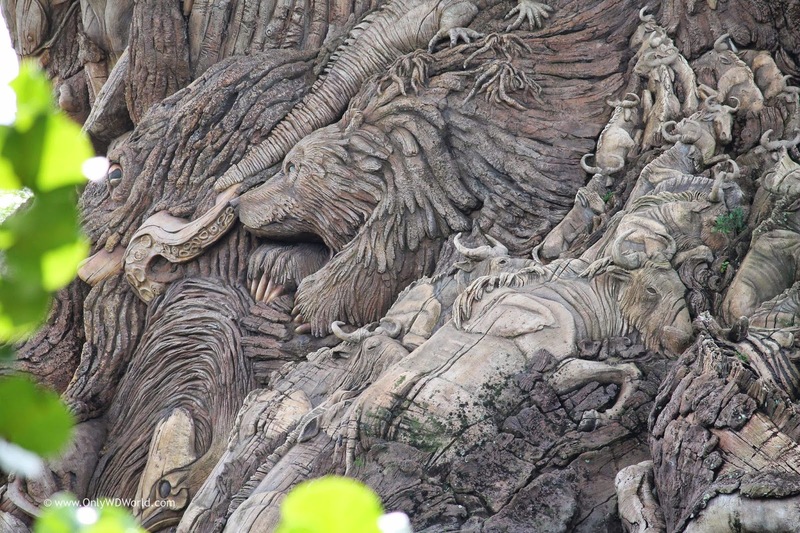 0 comments to "A Closer Look At The Tree Of Life at Disney's Animal Kingdom"